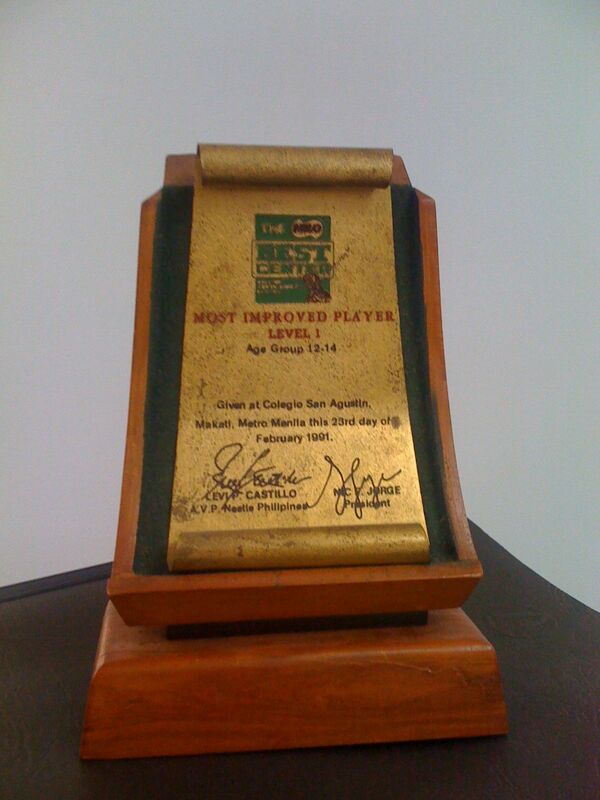 My Most Improved Player Award (Level 1) is proudly displayed in my office today. Last February, Milo B.E.S.T. Basketball (Basketball Efficiency Scientific Training) invited me to speak to several of their coaches on the subject of motivation. The talk, entitled, “Motivating Today’s Young Athletes” will be held in the World Citi College Gymnasium in Caloocan City on March 5, 2011 (Saturday) from 10:00 A.M. – 12:00 N.N. After my talk last Saturday, I got a chance to sit down and talk basketball with Milo B.E.S.T. founder Coach Nic Jorge. Needless to say, it was a great and far different experience from the one that I had with him as a student 20 years ago. Coach Nic, thank you and keep doing what you’re doing.